Have you ever wondered how the Poudre River Public Library selects books and other materials for purchase? How do the librarians know what the public wants or needs? How do they keep the collection up-to-date and relevant to current interests of the community? Clearly, the collection, which includes not only books but periodicals, reference materials, electronic databases, DVDs and audio books, among many other items, is the foundation of any public library. What role do the librarians play in all this? We see librarians out front answering questions and being helpful in finding materials we need, but much of the work of maintaining a good collection goes on behind the scenes. Aragon has two full-time staff to help with the selection process: Marian Sawyer, who is in charge of Children’s Collection Development, and Becky Sheller, who is responsible for Adult Collection Development. In addition, other librarians on the staff, with specialized interests, select books in their area of expertise on a part-time basis. 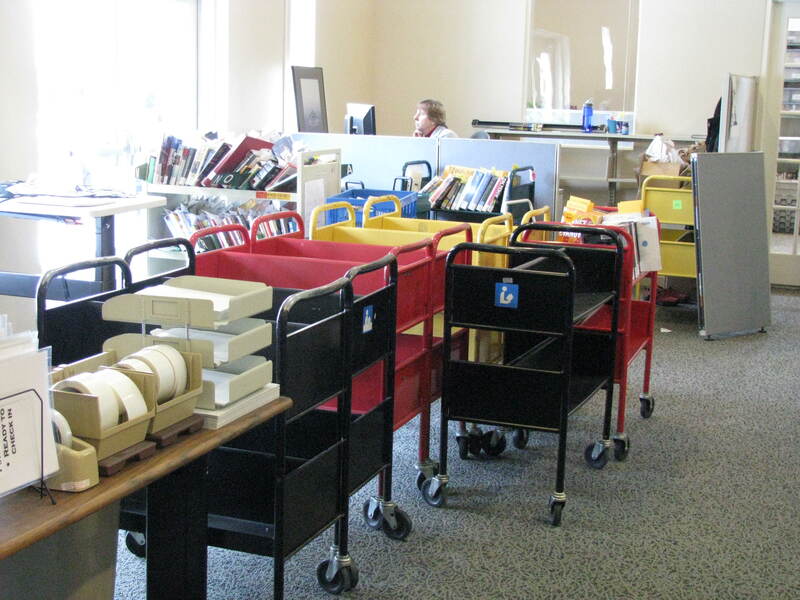 These areas include: Spanish, Juvenile and Adult books and movies, Teen materials, Business/job materials, Romance paperbacks and Music CDs. Anticipate demand: if we take books as an example, the goal is to have a particular book on order by the time it is reviewed in the New York Times or an author is interviewed on TV. The librarian gets pre-publication alerts from professional journals like Publishers Weekly or the Library Journal and from the library’s vendors. Read professional reviews: All librarians involved in the selection process rely on reviews from professional journals. Forty percent of Adult fiction is selected based on reviews; 65-70% of Children’s books is review-based. Teen and Business selection is also driven by reviews. The librarians believe this adds depth and flavor to the collection. Suggestions from patrons: The Library receives about 70 to 80 suggestions from patrons each week. Each suggestion is reviewed and forwarded to the appropriate librarian selector, who then decides whether or not to purchase, based on the collection development policy and collection needs. On average, 60% of suggestions from patrons are selected. Aragon emphasized that librarians do not rigidly follow these steps in selecting library items. The selection process relies not only on professional reviews and knowledge about a variety of other resources but also on the librarian’s own judgment, based on her/his professional training, breadth of personal familiarity with books and other materials and an awareness of the diverse needs and interests of the community. So grateful for the wonderful collection, esp. the picture books!